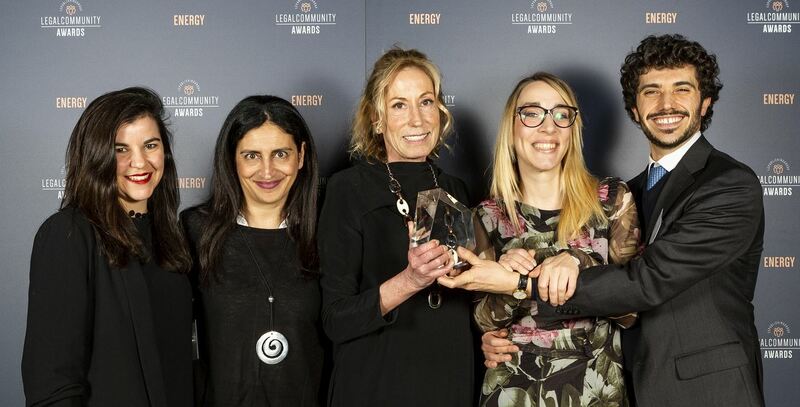 Chiomenti | Legalcommunity Energy Awards 2019: Chiomenti "Law firm of the year – Project Finance"
Legalcommunity Energy Awards 2019: Chiomenti "Law firm of the year – Project Finance"
At the LegalCommunity Energy Awards 2019 edition, which was held in Milan on Thusday 30 January 2019, Chiomenti won in the category “Firm of the Year – Project Finance”. According to the judging panel, Chiomenti has excelled as “a structured and multidisciplinary team valued by leading Italian business operators. The Team stands out on the market for his highest level of expertise in project financing operations”.